Do you think that presidential elections should replace the Electoral College with the popular vote? This piece was authored by The Daily Signal, and its content solely reflects the published views of The Daily Signal and its journalists. Just take action above to let us know how you feel about this issue. The standard argument against the Electoral College is that it’s not fully democratic and is unfair. Detractors lament that a failure of the system is indicated by the rare cases—such as 2016–in which the winner of the presidency is not determined by the winner of the national popular vote total. Americans don’t directly vote for their presidents. Instead, when we vote for a candidates, we actually vote for electors who then cast their votes for that candidate on a set date after the election. The Founders preferred this method as a way to prevent a corruption of the vote. A national election that relies heavily on this concept of federalism ultimately fulfills the requirement that presidents receive the “esteem and confidence of the whole Union,” as Alexander Hamilton wrote in Federalist 68. This played out in 2016, which was an example of the Electoral College’s success, not its failure. One candidate, now-President Donald Trump, appealed to and ultimately flipped states that had voted Democrat for nearly a generation because he appealed to them in ways that members of his party hadn’t in a long time. On the other hand, Hillary Clinton dumped massive resources into places such as Chicago and New Orleans, where she already had overwhelming support, in an effort to “win” the popular vote. Clinton’s ill-conceived plan worked directly counter to how the Electoral College was designed to function, the result being a rare circumstance where the winner of the popular vote lost the election. Clinton could have spent more time in states such as Michigan and Pennsylvania, once thought to be part of an electoral “Blue Wall” in the so-called Rust Belt. But she didn’t. She paid a price, within a well-known system, for taking key states for granted. Poor strategy, not an inherent flaw in the American election system, did in Trump’s opponent. Why should we see this as a reason to ditch a two-century-old institution of marvelous success and stability? Not everything the Founders predicted about American presidential elections has been borne out, but the federalist structure of the Electoral College remains an excellent, if not perfect, method of selecting our presidents. Ridiculous accusations about it being pro-slavery, and misguided desires to make it more “democratic,” are no reason to let a misguided and likely unconstitutional National Popular Vote Compact–or any other scheme—bring the Electoral College to an end. 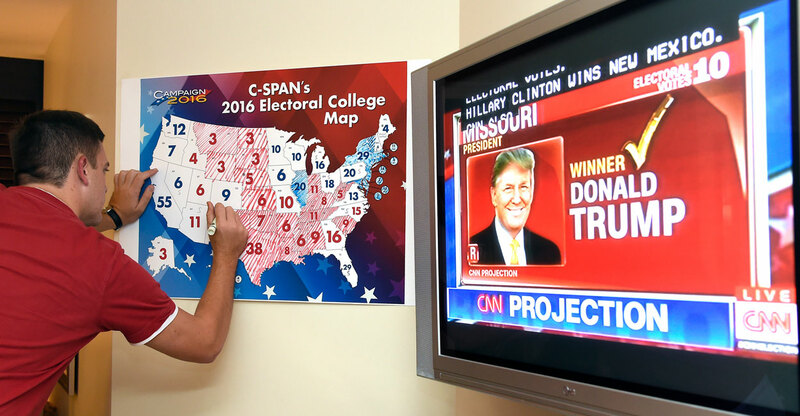 The post The Intellectual Dishonesty of the Campaign Against the Electoral College appeared first on The Daily Signal.